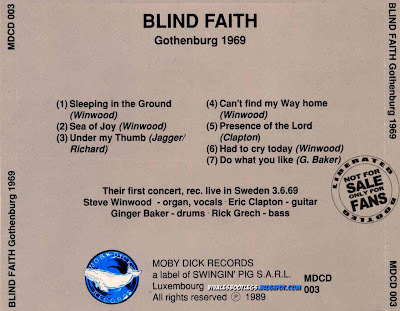 Recorded Live at Ancienne Belgique, Brussels, Belgium - May 30, 1992. 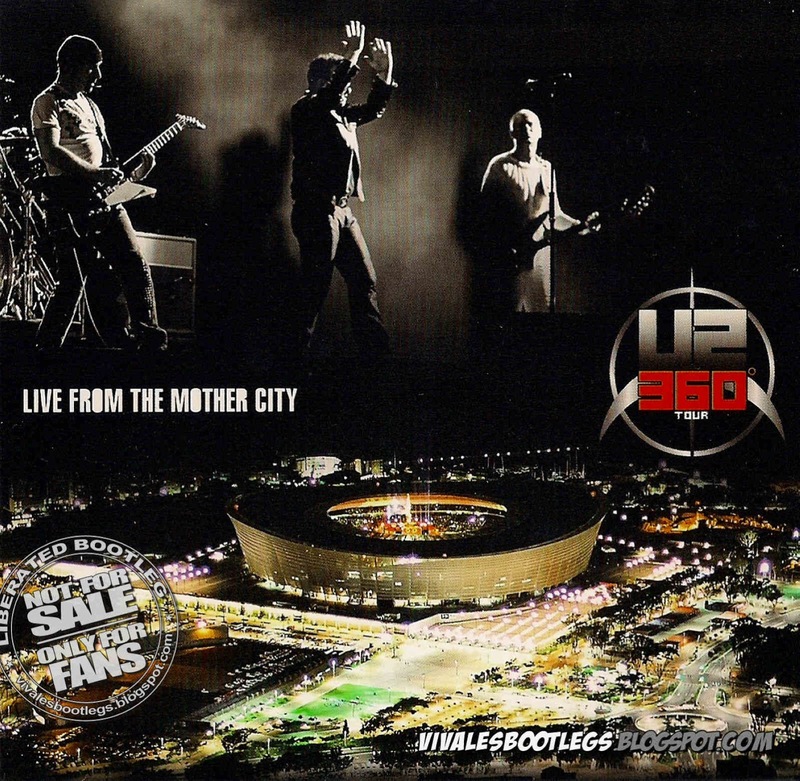 Files: 19. :: Size: 266,25 MB (mp3) | 827 MB (flac). 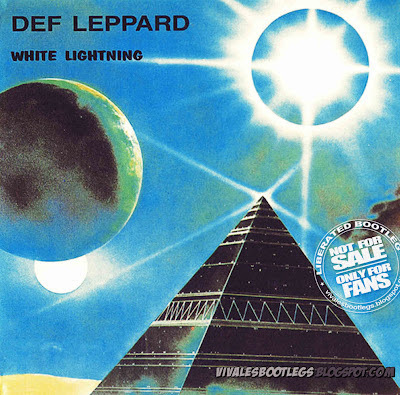 Personnel: Joe Elliott - Lead Vocals :: Phil Collen - Guitar/Vocals :: Vivian Campbell - Guitar/Vocals :: Rick Savage - Bass/Vocals :: Rick Allen - Drums. 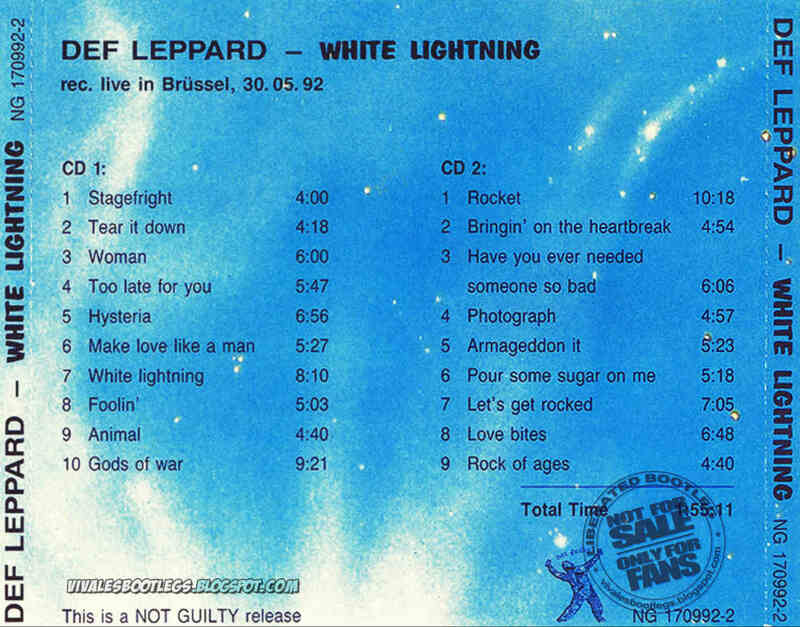 Notes: This is one of my favorite live recordings of Def Leppard. 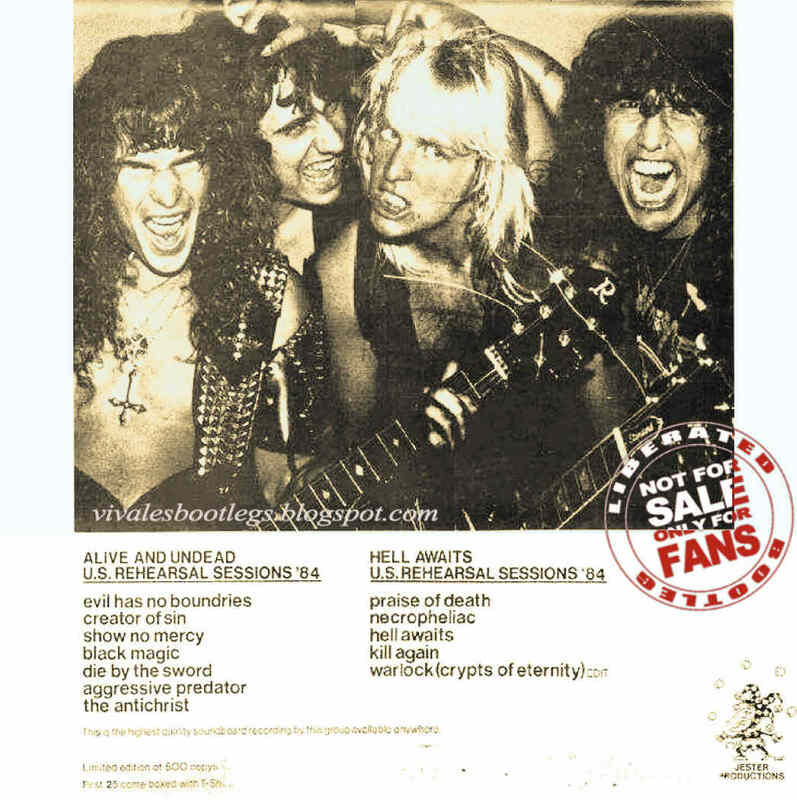 This takes place on the 13 Day Club Tour that kicked off the 1992-1993 Adrenalize tour. The quality is great and it's taken from a good old fashioned silver CD bootleg called "White Lightning," issued on the Not Guilty label (NG 170992-2). The first show in this city since April 1988 on the Hysteria tour. The audience recording of this show is extremely good. It is sometimes known as 'White Lightning' (Not Guilty NG 170992-2). Once mentioned by Joe as being up there with the 1983 LA Forum recording as his favourite bootleg.<-(Info taken from deflepparduk.com & original info files). 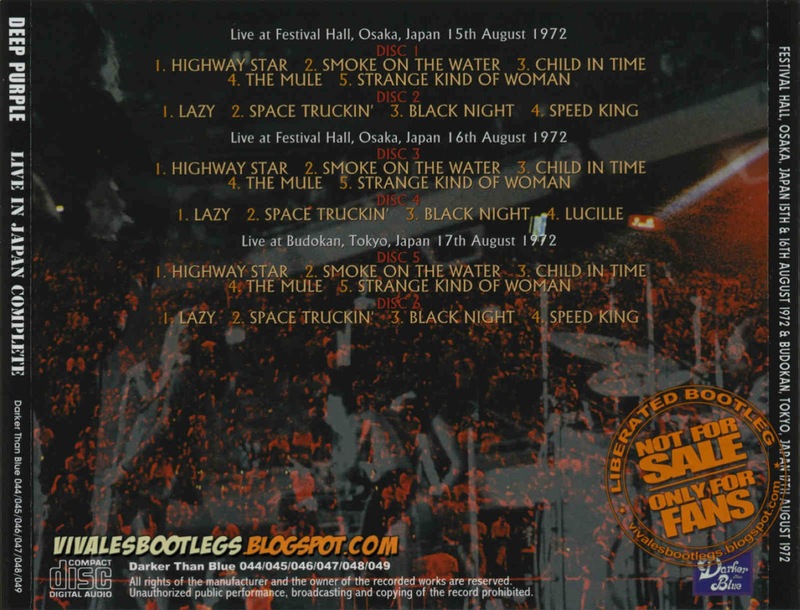 Recorded Live at Festival Hall + Budokan , Osaka + Tokyo , Japan - August 15, 16 and 17, 1972. Files: 27. :: Size: 686.75 MB (mp3) | 1.67 GB (flac). Personnel: Ritchie Blackmore – lead guitar, Ian Gillan – vocals, harmonica, percussion, Roger Glover – bass guitar, Jon Lord – organ, keyboards, electric piano, Ian Paice – drums, percussion. 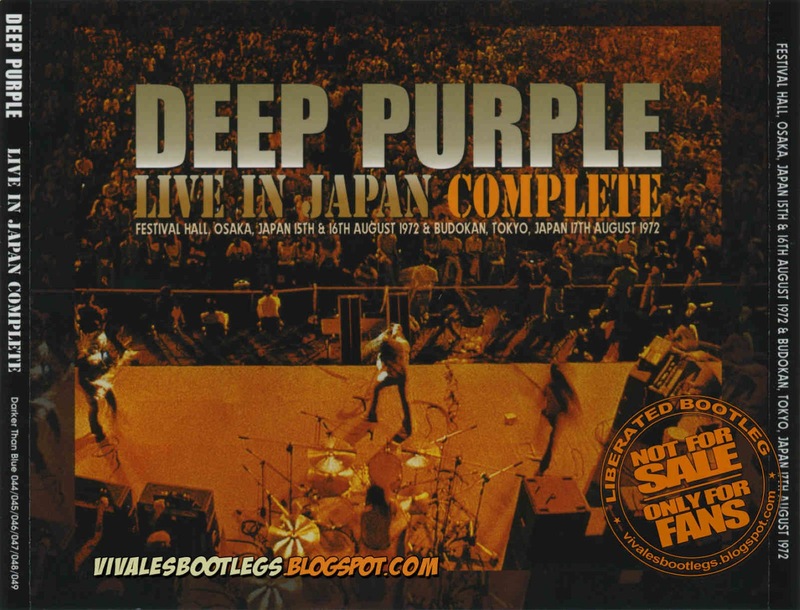 Notes: Deep Purple’s legendary three concerts in Japan on their first visit to the far east were all professionally recorded and have been available for thirty years. 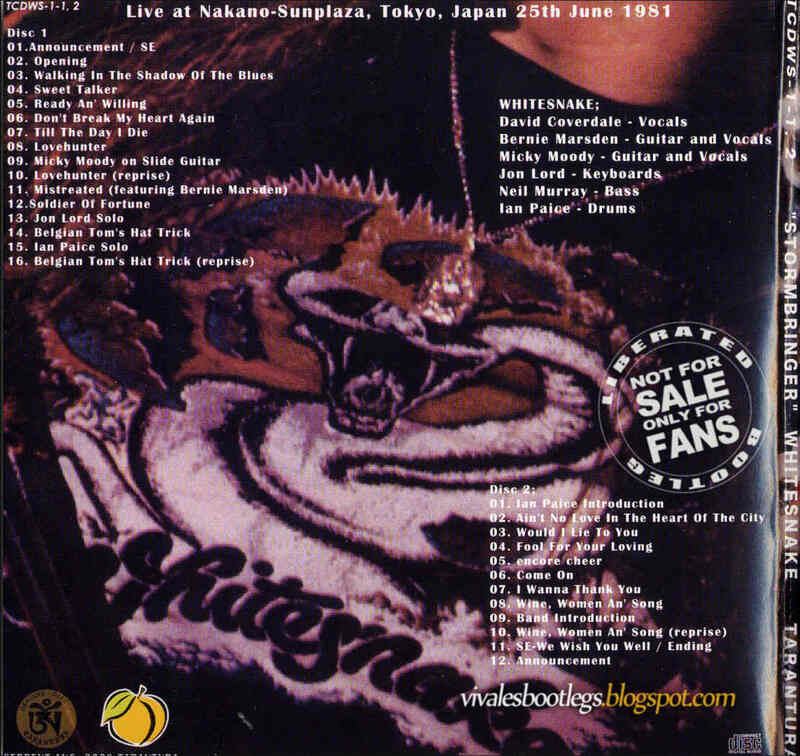 The 2LP set Live In Japan, originally for the Japanese market only but gained world-wide release, is considered by some to be the best live album of any band to emerge from the seventies. Released just in time for the Christmas season, it edited together songs from all three nights. 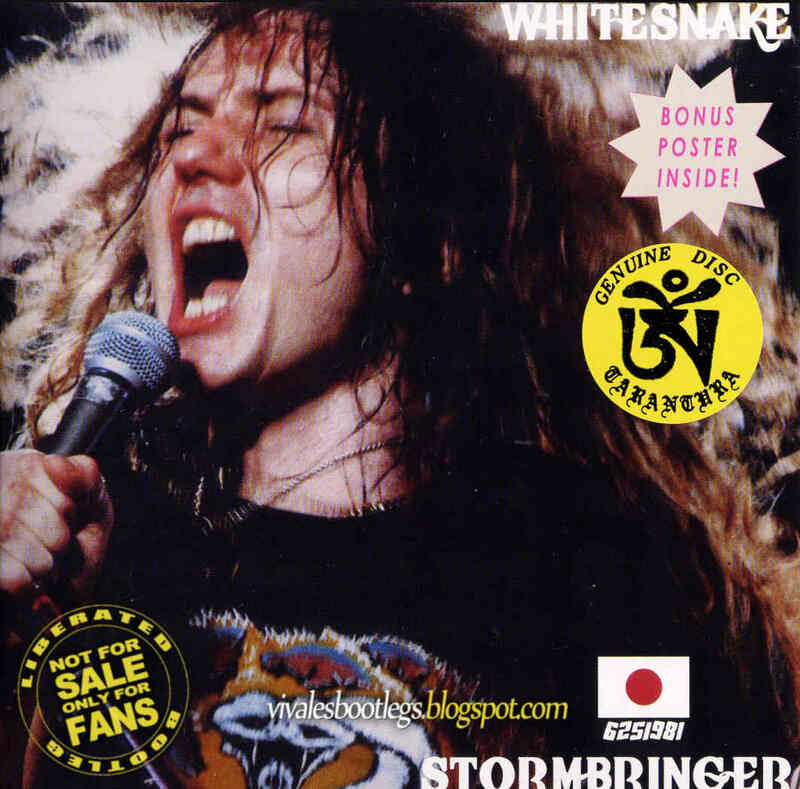 In 1993 a more complete, three compact disc version was released which devoted one disc for each show. Given the limitations of space each show is still incomplete. 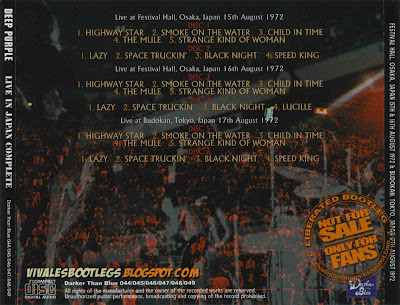 Two tracks, “Lazy” from the August 17th Tokyo show and “Black Night” from the August 16th Osaka tape appear on the 2002 six disc release Listen, Learn, Read On. The second track is important since it was previously unreleased. Live In Japan Complete collects three good audience recordings and offers the most complete versions of these concerts spread over six cds. Not all of these sources offer the best sound quality, but they are all listenable. 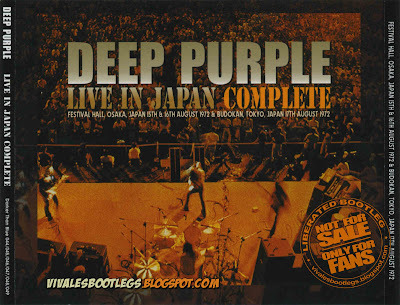 These three dates are the first Deep Purple played in the far east and account for the entire tour. The playing in these shows are one of the highlights of the Mark II line up and are an amazing contrast to their second tour of Japan almost a year later, which would be the last ones with Ian Gillan and Roger Glover. 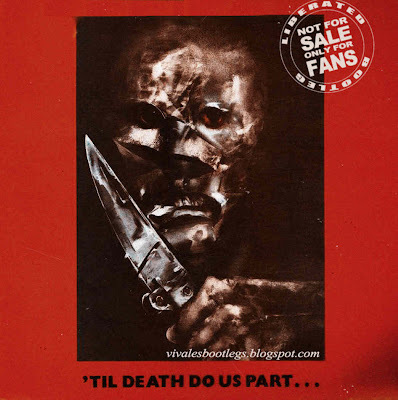 Those concerts would have almost identical set lists but the tension within the band is obvious, especially in the final show in Osaka on June 29th, 1973 and documented on Darker Than Blue’s “The End” (Darker Than Blue 031/32).<-(Info taken from Collectors Music Reviews). Recorded Live at Cape Town Stadium, Cape Town, South Africa - February 18, 2011. Files: 28.:: Size: 295.64 MB (mp3)| 620 MB (flac). 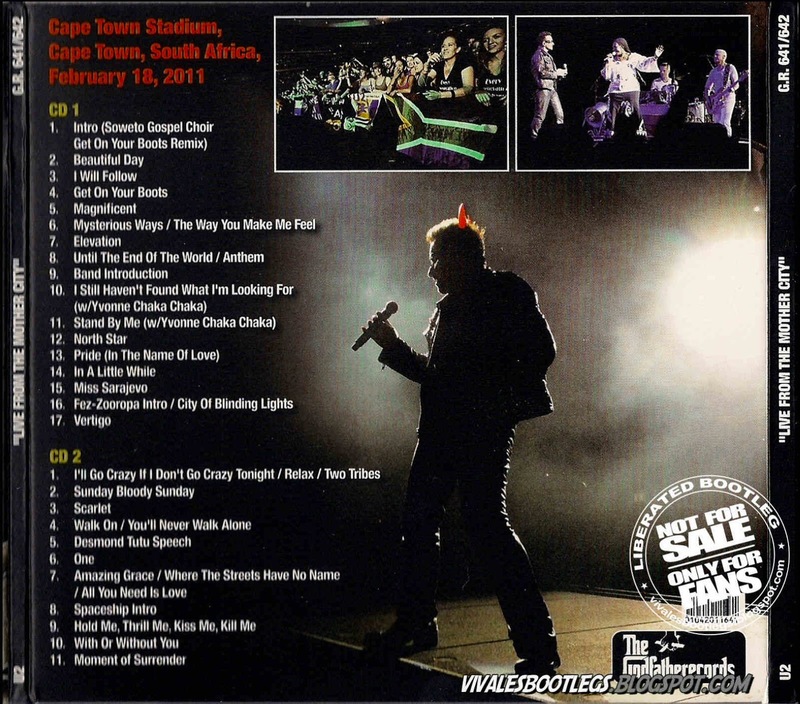 Personnel: Bono :: The Edge :: Adam Clayton :: Larry Mullen Jr. .
Notes: Silver CDs - EAC - WAV - Flac Level 6 * Cape Town Stadium, Cape Town, South Africa, February 18, 2011.<-(Info taken from original info file). 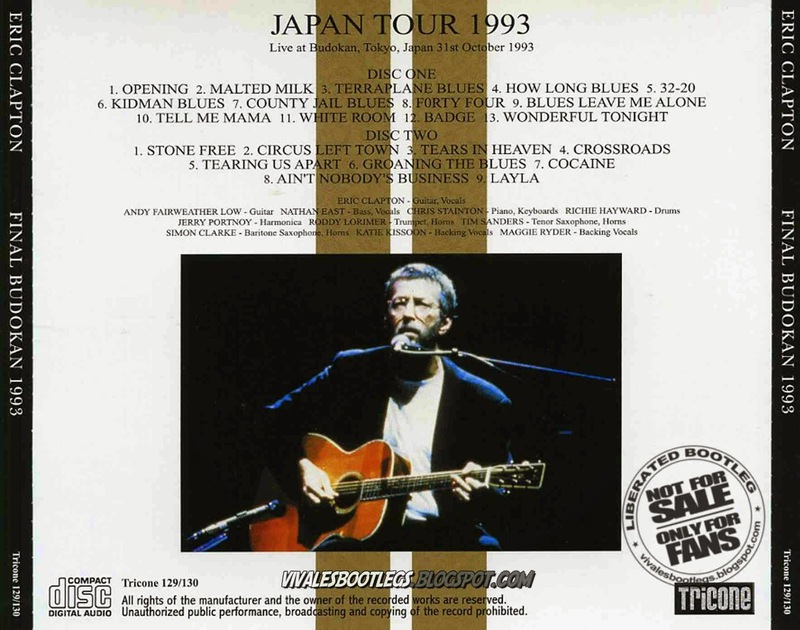 Recorded Live at Budokan Hall, Tokyo, Japan - October 31, 1993. Files: 22.:: Size: 741.64 MB (flac). 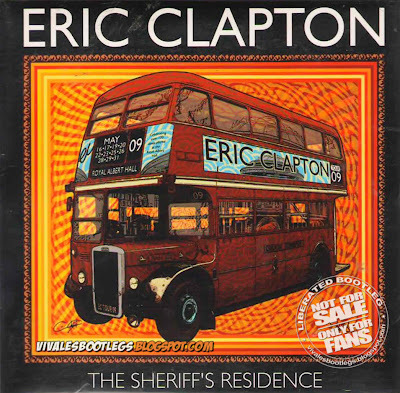 Personnel: Eric Clapton: Guitar, Vocals / Andy Fairweater Low: Guitar / Chris Stainton: Keyboards / Dave Bronze: Bass / Richie Hayward: Drums / Jerry Portony: Harmonica / Maggie Ryder: Backing Vocals / Katie ssoon: Backing Vocals / Roddy Lorinner: Trumpet / Tim Sanders: Tenor Sax / Simon Clake: Bartone Sax. 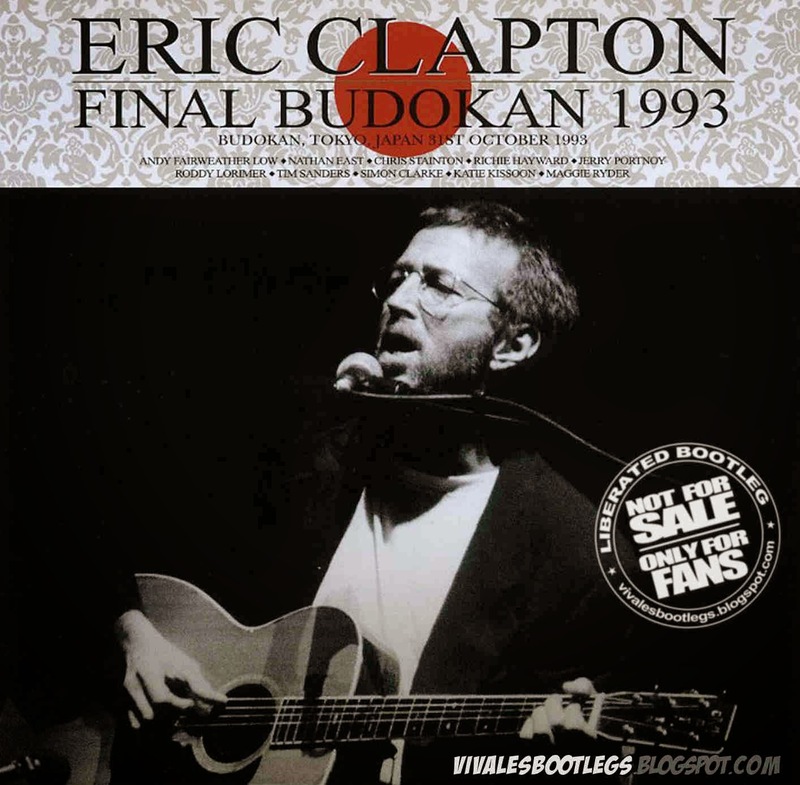 Notes: On May 2014, Tricone is continuing its coverage of Eric Clapton’s 1993 Tour of Japan… Eric Clapton – Final Budokan 1993 (Tricone 129/130) is a 2CD set from Budokan, Tokyo, Japan on October 31st, 1993. Great Quality here!..<- from original info file>. 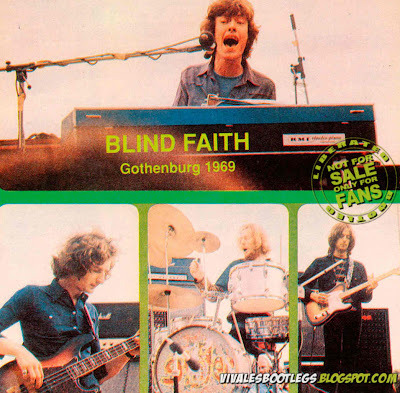 Recorded Live in Gothenburg, Sweden - June 18, 1969. 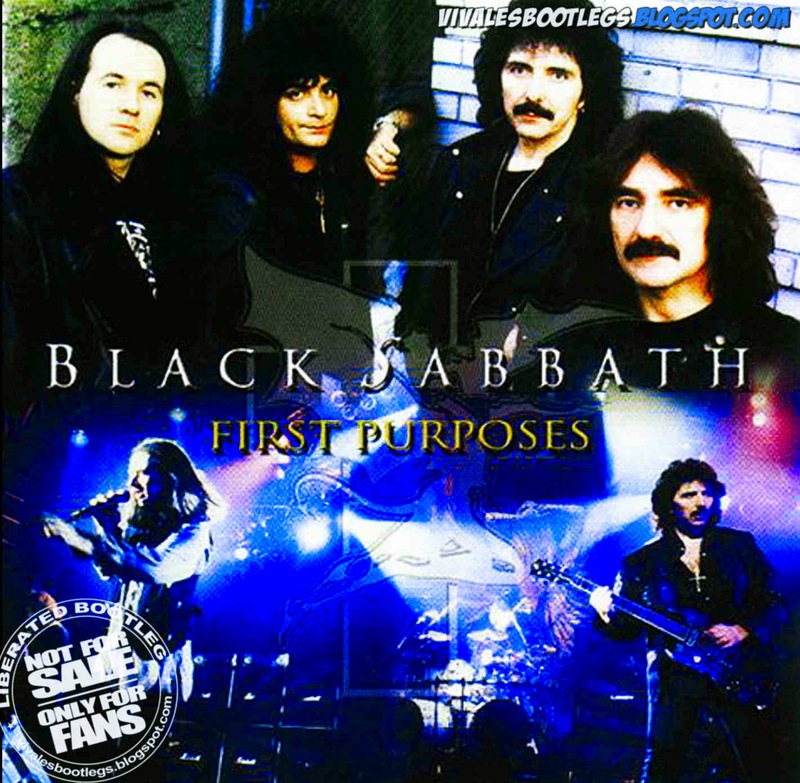 Files: 7. :: Size: 150.07 MB (mp3) / 352 MB (flac). 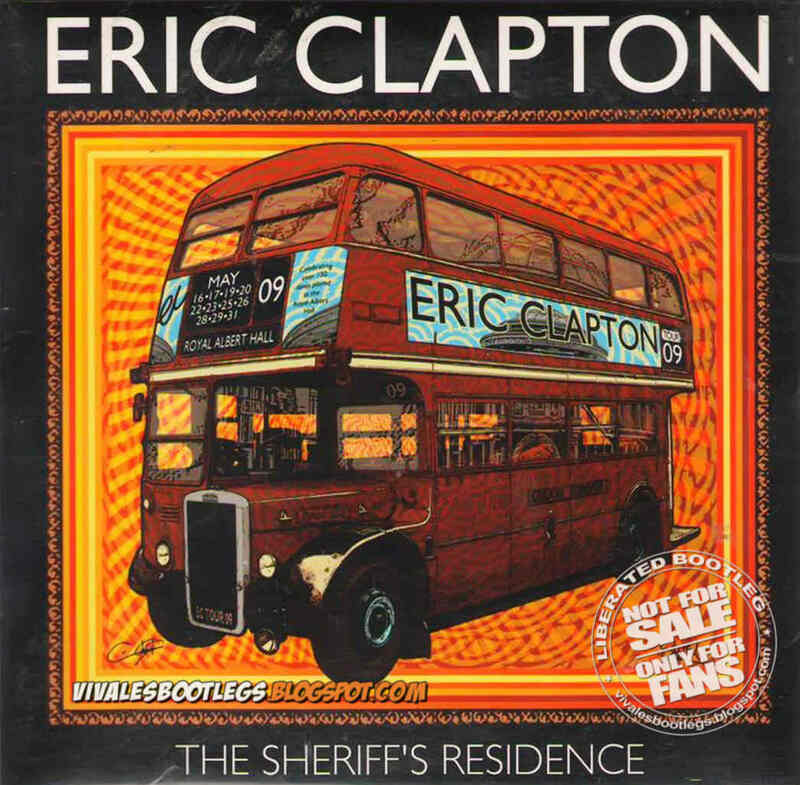 Personnel: Eric Clapton Guitar, Vocals :: Steve Winwood Keyboards, Vocals :: Ginger Baker Drums :: Rick Grech Bass . Notes: Sound quality isn't soundboard standard being an audience recording, but it's perfectly acceptable if slightly distant. The performance is good too though Do What You Like will never be my favourite BF song. The band are relaxed and show what they could have been given a little more time and less pressure to make big bucks. Recommended. - (DR).<-(Info taken from original info file). Recorded Live at Grande Ballroom, Detroit, Michigan, USA - October 15, 1967. Files: 10. :: Size: 668 MB (flac). 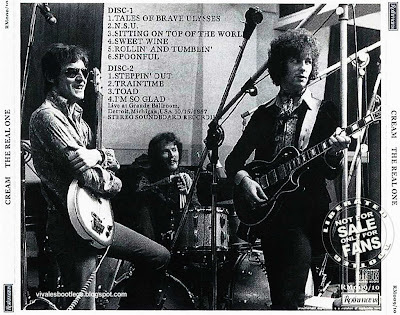 Personnel: Eric Clapton :: Jack Bruce :: Ginger Baker. 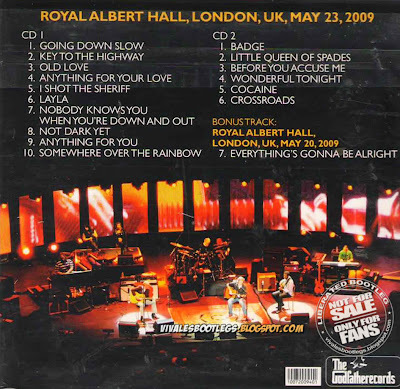 Notes: This show in Detroit has turned up on a number of titles including the dodgy Creamset on Gold Standard. It's a very good show rightly regarded by Cream fans as one of the best of the late '67 tour of the US. 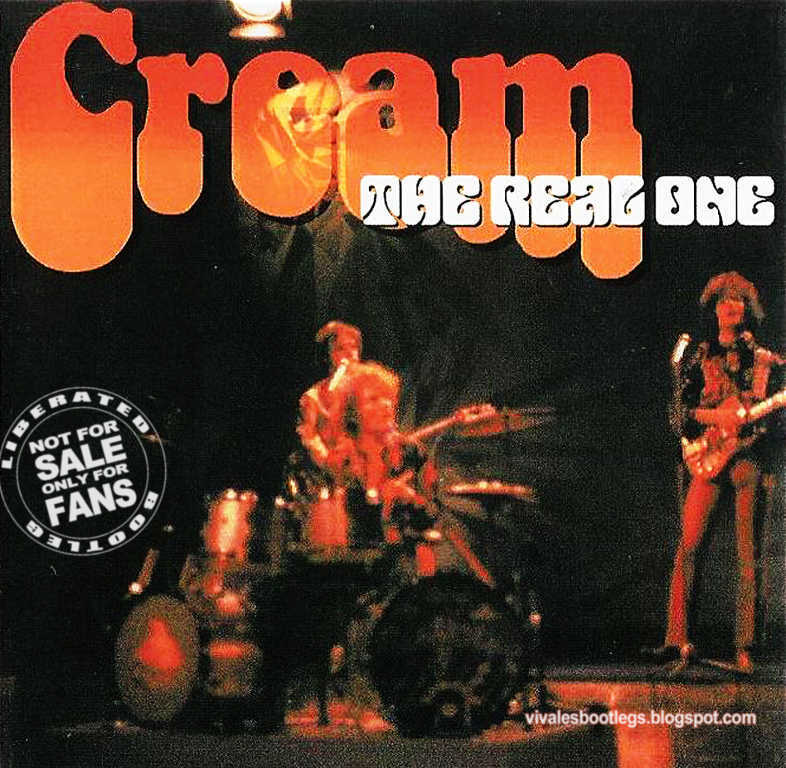 For its vintage, the recording is very good and you can really hear why Cream had such an impact as a live act. On Sweet Wine and Rollin' and Tumbin' Ginger and Jack really lock together allowing Eric free rein to shine: and shine he does. Highly recommended - DR -. Lineage: Silvers > CD-R (trade) > EAC v. 9.99 Prebeta 4 (Secure, Offset Correct) > FLAC (8) > You!. 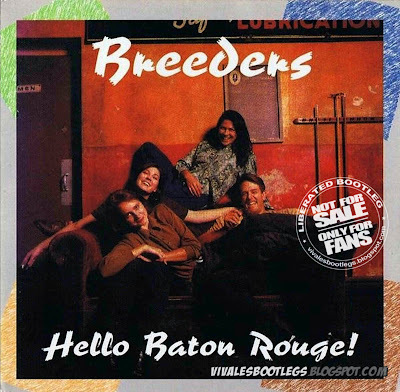 Recorded Live at Baton Rouge, Louisiana, USA - April 09, 1994. Files: 21. :: Size: 351 MB (flac). Notes: A bootleg recording of the Breeders in Baton Rouge, Louisiana, April 9, 1994. * listed as "cultural trash" on original cd - ** listed as "raw" on original cd. 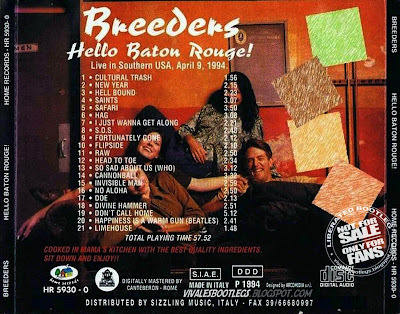 "Released" on Home Records in 1994, an apparent "bootleg" label in Italy. (Info taken from xoriginal info file). 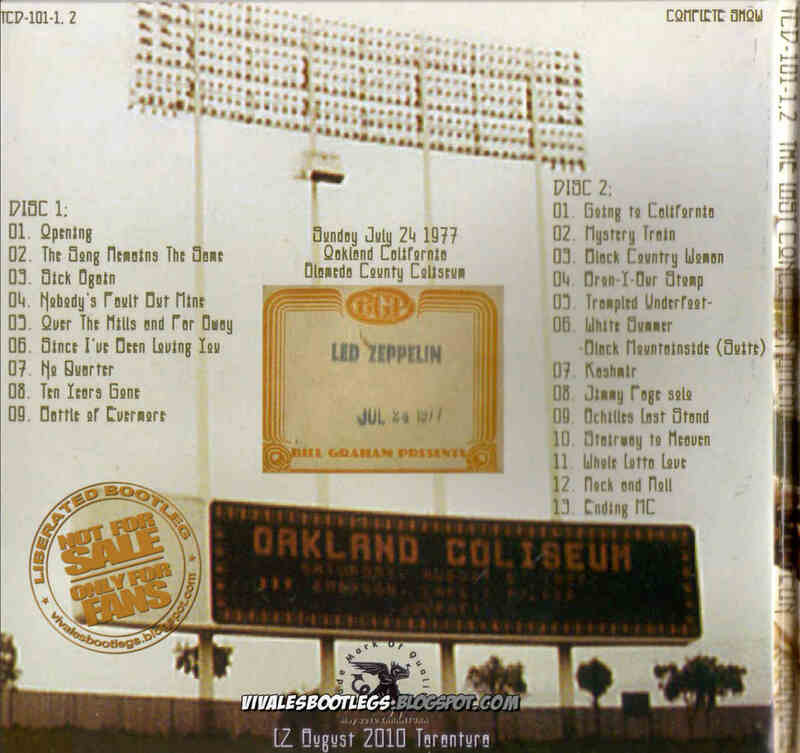 Recorded Live at Alameda County Coliseum, Oakland, California, USA - July 24, 1977. 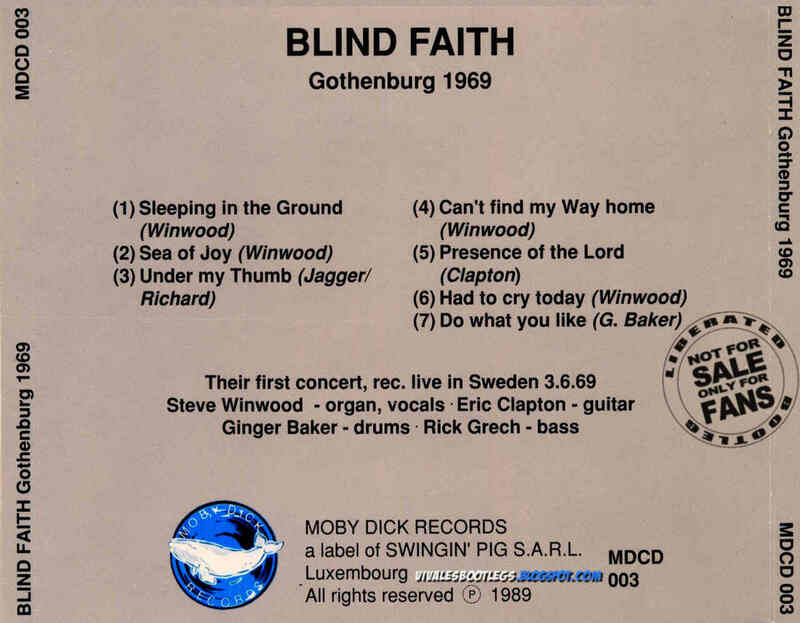 Files: 22. :: Size: 639 MB (flac). Notes: This is a very good audience recording, meaning one below excellent. A girl does shout “PAGE” at quite a few moments between songs right into the mic, but that just adds to the atmosphere. Over all, the band is really on this day. There are some mic movements at various parts on CD 2, but nothing that interferes with the music. 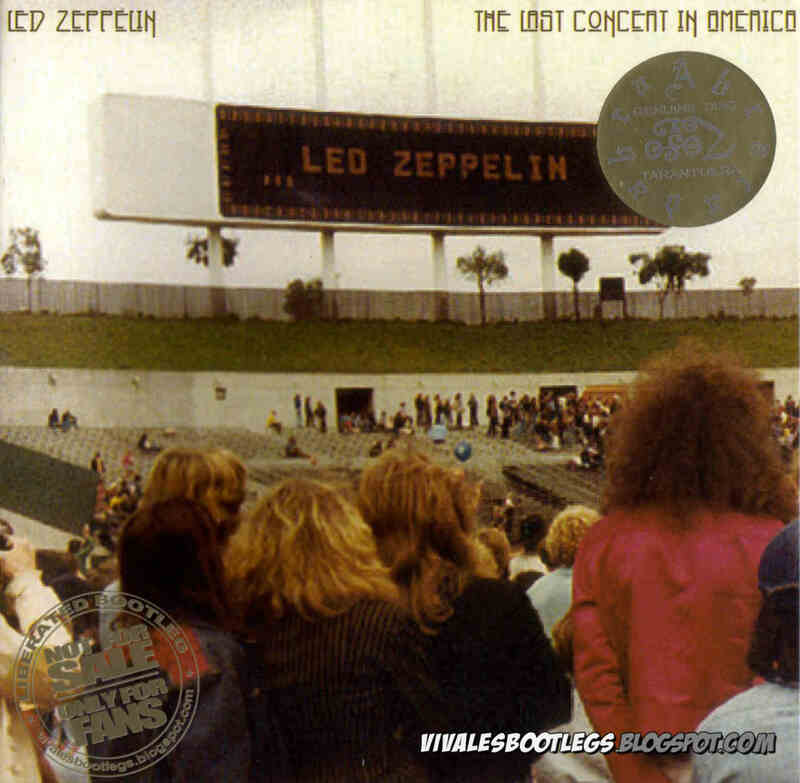 It is balanced over all and very listenable, given that its at a stadium with over 67,000 people on who knows what inside. 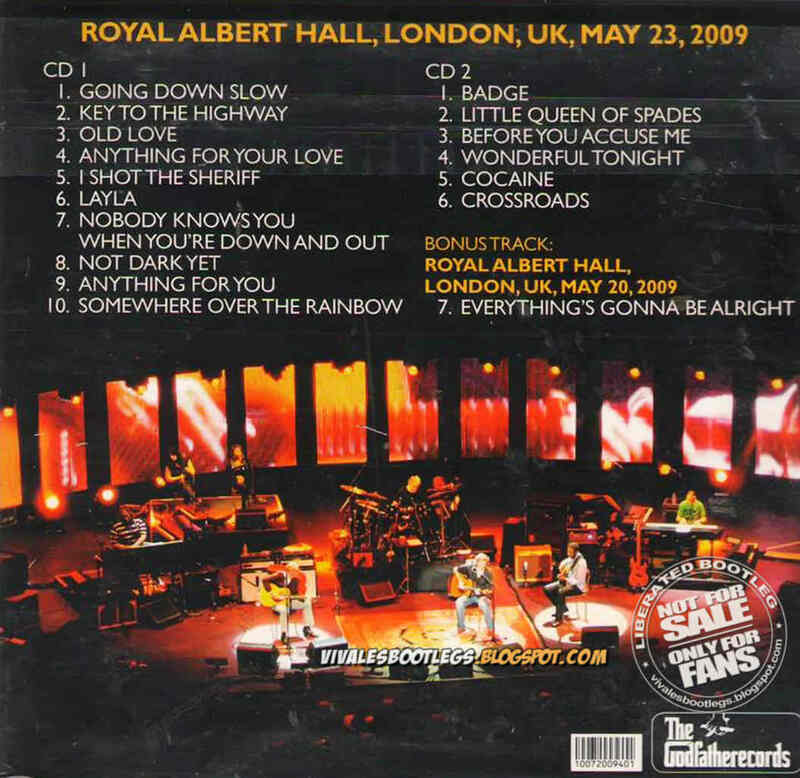 Again, the first few notes of each song are not cut off, but the show is not complete, with missing Whole Lotta Love. Tarantura has done an excellent job with editing that did have to be done, and with EQ’ing. This is now the definitive release for Led Zepp’s last concert. Highly recommended. (Info taken from collectorsmusicreviews). 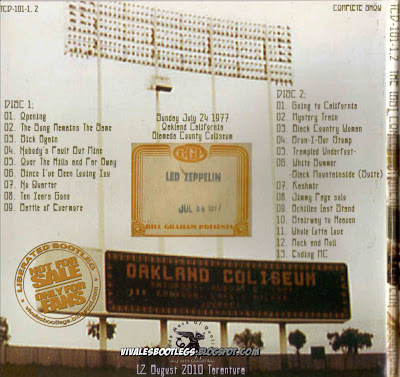 Recorded Live at Oakland Coliseum, Oakland, CA , USA - November 09, 1969 (First and Second Show). Soundboard :: Silver CDs :: MP3 CBR 320 kbps & FLAC. 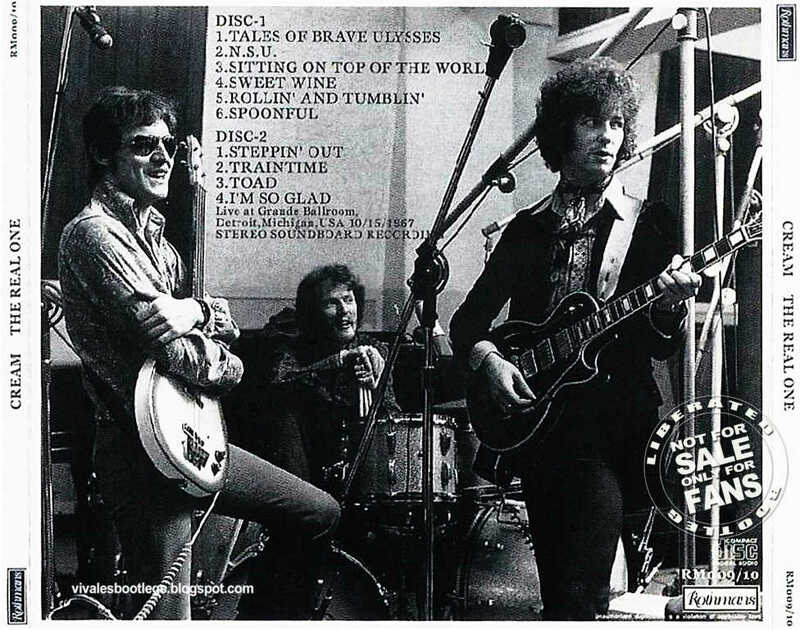 Files: 31. :: Size: 338.54 MB (mp3) | 524 MB (flac). 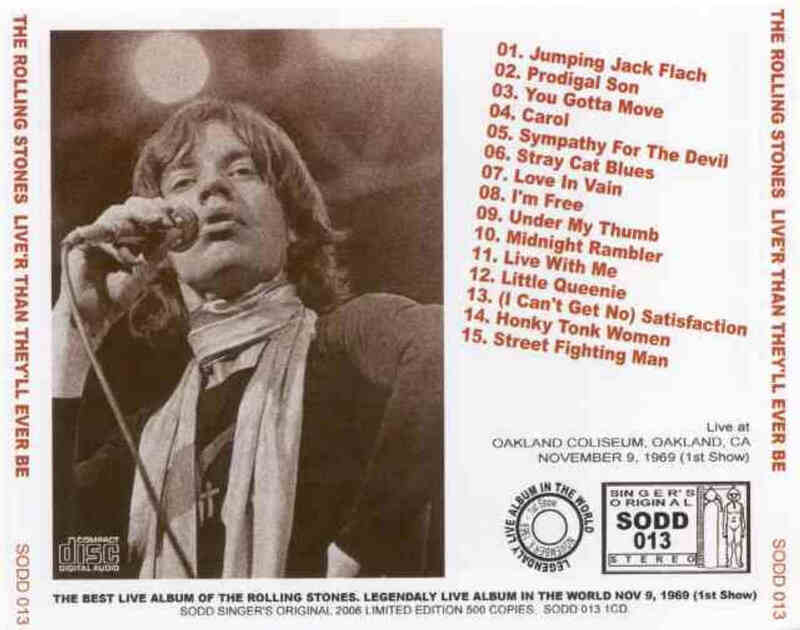 Personnel: Mick Jagger – lead vocals, harmonica, Keith Richards – guitar, backing vocals, Mick Taylor – guitar, Bill Wyman – bass guitar, Charlie Watts – drums and percussion. Notes: Excellent sound. First show comes in silver cd pressed. Bonus CDR with second show. Complete artwork is included.<-(Info taken from original info file). 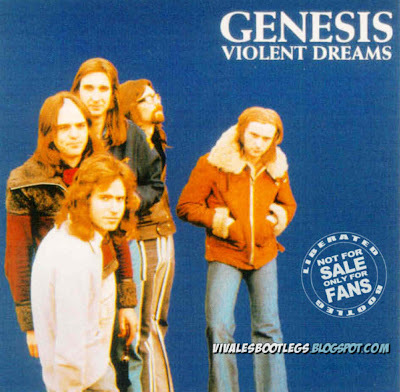 Recorded Live at Imperial College, London, England - November 18, 1972. 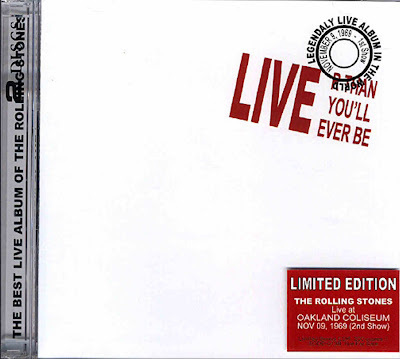 Very Good+ Audience Recording :: Silver CD :: Lossless FLAC. Files: 6. :: Size: 501 MB (flac). 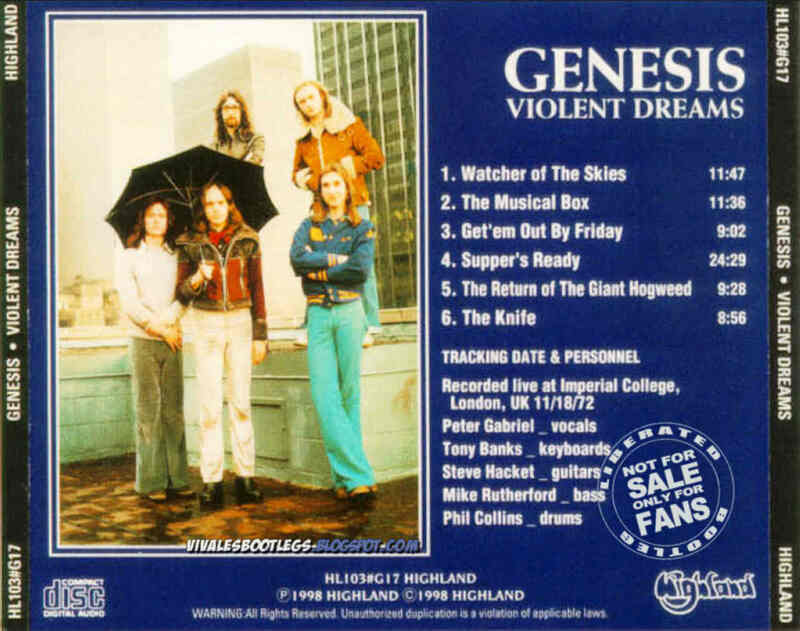 Personnel: Tony Banks - Keyboards :: Phil Collins - Percussion :: Peter Gabriel - Vocals :: Steve Hackett - Lead Guitar :: Mike Rutherford - Bass Guitar. Notes: A very good sound for this audience recording. Peter's "dirty" story introducing The musical box is very amusing (the audience seems to agree with this). Supper's ready features a seldom heard "full ending" instead of the usual fade out.<-(Info taken from original info file). 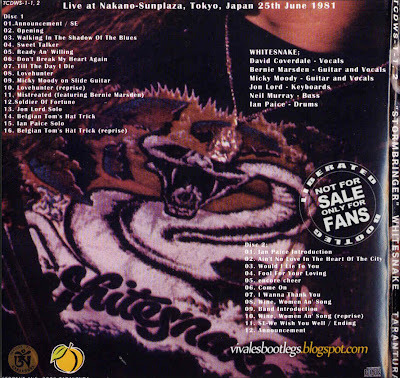 Recorded Live at Nakano-Sunplaza, Tokyo, Japan - June 25, 1981. Files: 28. :: Size: 899 MB (flac). Personnel: David Coverdale - Vocals :: Bernie Marsden - Guitar and Vocals :: Micky Moody - Guitar and Vocals :: Jon Lord - Keyboards :: Neil Murray - Bass :: Ian Paice - Drums . 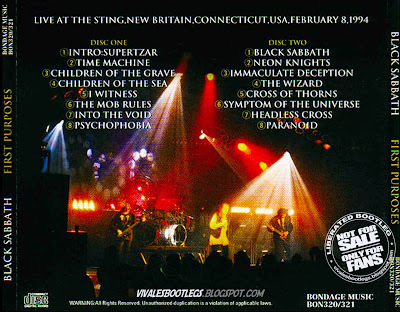 Notes: Part of the Tarantura bootleg series which have been very enjoyable to say the least. Good quality audience recording. <-(Info taken from original nfo file).